Big improvement on the 207 GTi. Classy interior. Fun to drive. Lacks the handling finesse of other hot hatches. Is expensive compared to the Fiesta ST.
Peugeot has a Jekyll and Hyde reputation when it comes to building hot hatchbacks. 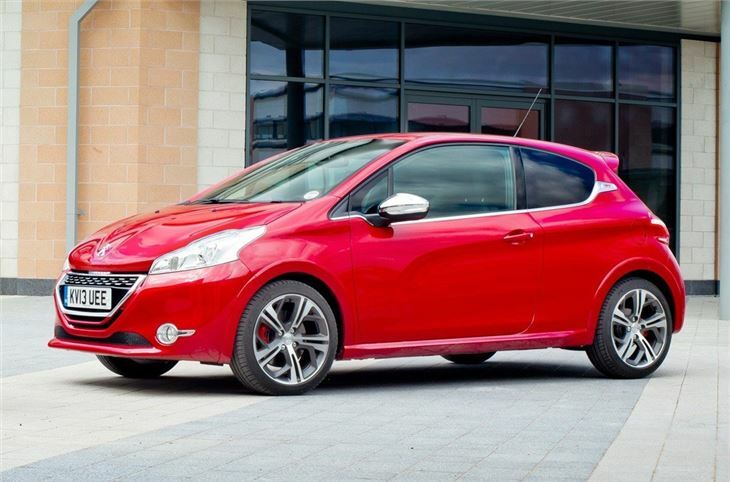 Inspired by the brilliance of the 205 GTi, Peugeot ploughed significant resources into its hot hatch programme, but the resulting 206 GTi and 207 GTi left many feeling cold, with underpowered engines and stodgy handling. Now it is the turn of the 208 to get the GTi treatment, but has Peugeot finally built a worthy successor to the 205's crown? 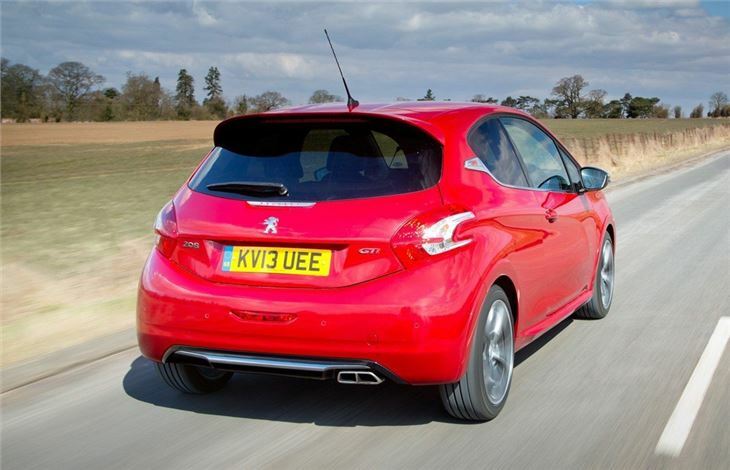 When it comes to outright power, the new 208 is a huge improvement. In fact, the 208 GTi is the most powerful model to emerge from Peugeot’s hot hatch stable, with 200PS and a top speed of 143mph. Power comes from a turbocharged 1.6-litre petrol engine, which is the same unit found in the RCZ. 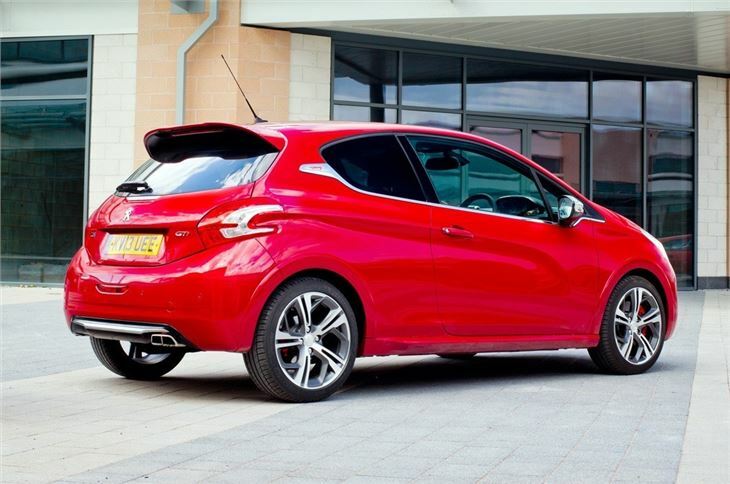 It powers the 208 GTi from 0-62mph in 6.8 seconds, yet returns a claimed 47.9mpg. The new GTi is also lighter than the old 207 GTi, but doesn't suffer from a hard ride thanks to a softer suspension set up. 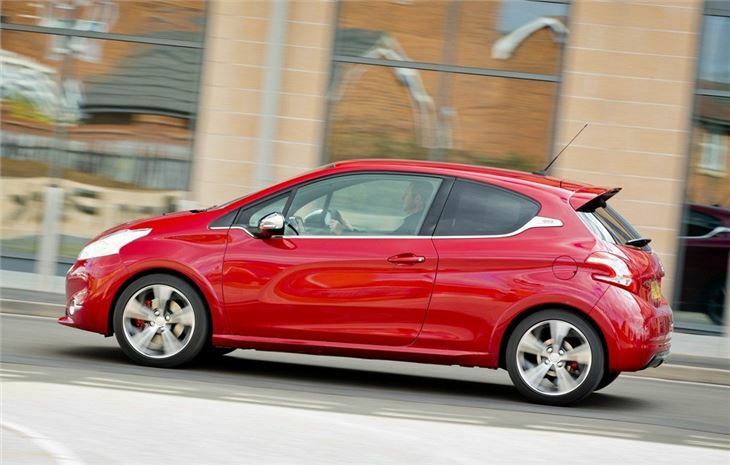 This means the 208 GTi has a surprisingly comfortable ride, with the suspension soaking up lumps and bumps without fuss. Peugeot has also sharpened the exterior, with a body kit, red brake callipers, chequered flag motif grille and a scattering of GTi logos. The sporty 208 doesn’t stand out from the crowd like a Ford Fiesta ST or RenaultSport Clio, but it is attractive enough to warrant a second glance. Inside the cabin the Peugeot is comfortable and pleasant, with leather seats, racing steering wheel and high quality trim. 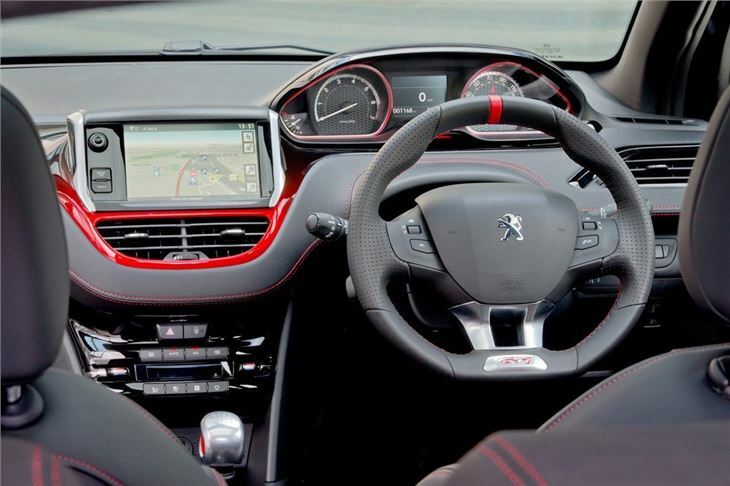 Admittedly, the layout of the dashboard isn’t the best – some of the dials are difficult to read – but the 208 GTi is serine enough for running the family around in. 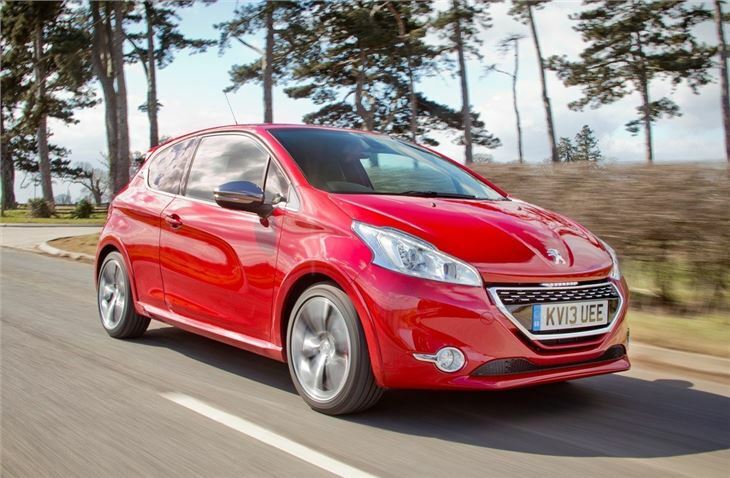 Overall, the 208 GTi is quick, fun to drive and extremely comfortable. We particularly like its useable nature and the fact it doubles up nicely as a family car. However, it does fall short of its chief rival - the Fiesta ST.
We found the soft set to be great for daily driving, but the lack of feel in the ride works against the GTi when it’s pushed hard. The problem is compounded by overweight power steering, which makes the car feel vauge and numb, making it difficult to judge how much grip the car has mid-corner. 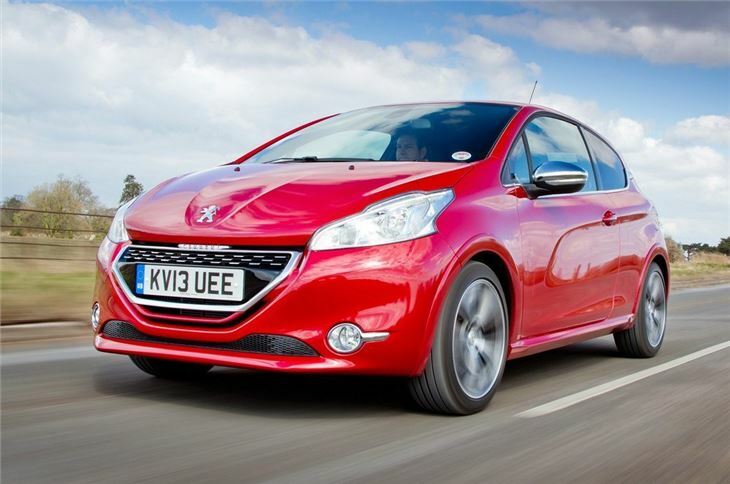 The Peugeot isn’t cheap either, with an entry level model costing considerably more than a comparable Fiesta ST.